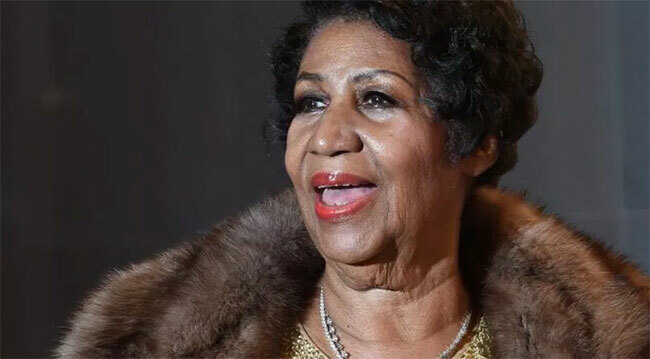 More than twenty performing artists, activists and family members will celebrate the life and legacy of Aretha Louise Franklin, known as the Queen of Soul, during a musical tribute next week. Stars like Gladys Knight, Johnny Gill, The Four Tops and more will convene at Chene Park Amphitheatre in downtown Detroit on Thursday, August 30th from 6-9 pm. Leading artists representing many musical genres – R&B, gospel, jazz and hip-hop – are slated to perform tributes. Activists will speak about Ms. Franklin’s profound role in feminism and civil rights. Ralphe Armstrong Band and Kern Brantley Band will accompany the celebrants. Other participants are expected to be announced. The event is free, but tickets are required to attend. Tickets will be available online through Ticketmaster.com beginning Monday, August 27th at 10 am ET. In honor of the Queen, Ticketmaster will waive all fees. Guests are allowed a maximum of two tickets via Ticketmaster digital-mobile tickets. The musical tribute will be part of a four-day celebration of Ms. Franklin’s life and career. Her body will lie in repose at the Charles H. Wright Museum of African American History in Detroit for public viewing August 28th and 29th. A private, invitation-only funeral for close family and friends will be held August 31st at Greater Grace Temple in Detroit. The musical tribute event will be held at Chene Park Amphitheatre, where Ms. Franklin performed in August 2015. Many of the artists participating in the tribute event have also performed at the renowned riverfront venue. Uniquely located on an international waterway with Canada as its backdrop, Chene Park Amphitheatre’s seating design and intimate rapport between participants and attendees will create a fitting tribute atmosphere for the Queen.